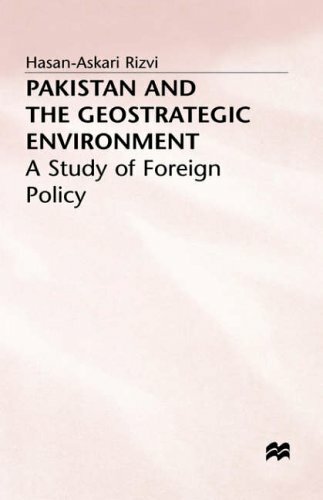 A study of Pakistan's foreign policy with an emphasis on geostrategic environment, undertakes a critical review of Pakistan's interaction at the bilateral, regional and international levels. Focusing mainly on the period from 1972 to the present, the book examines Pakistan's troubled relations with India, interaction with the smaller states of South Asia and the Muslim world. Pakistan's relations with the U.S., the Soviet Union, and China, including the impact of the nuclear issue and the Afghanistan crisis on the Pakistan-U.S. ties get a detailed treatment.